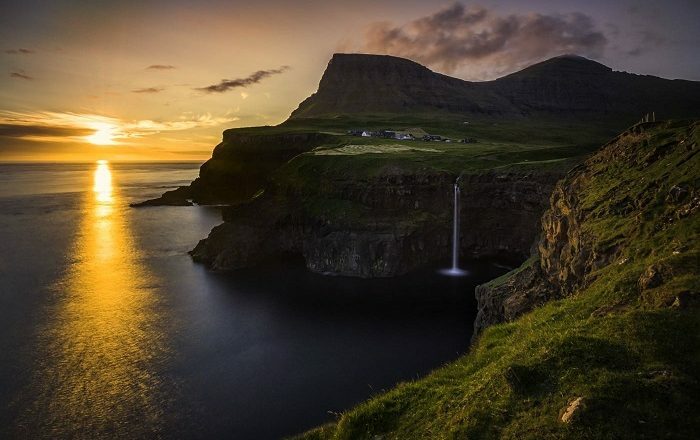 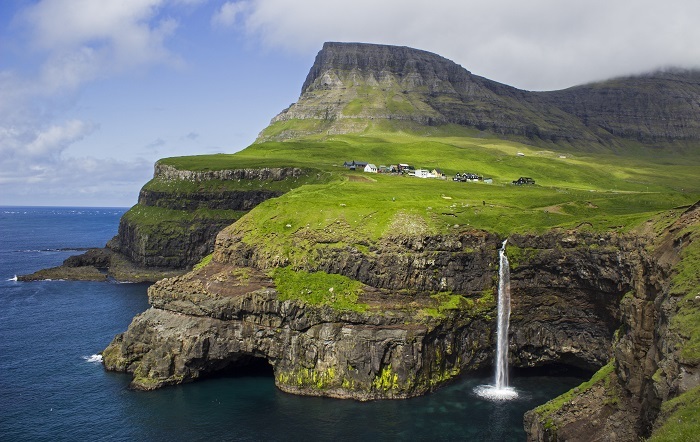 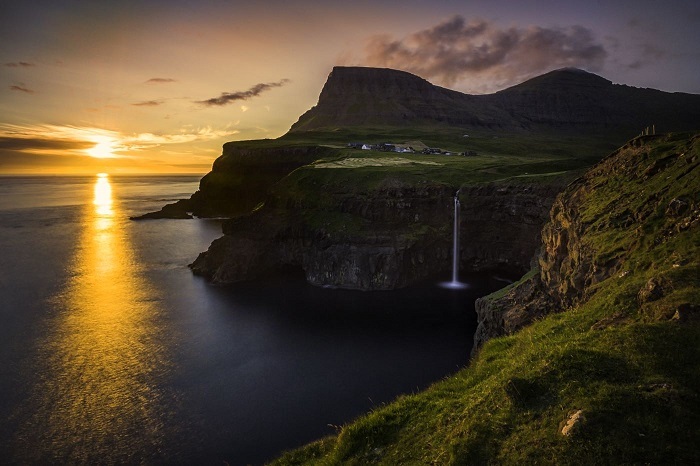 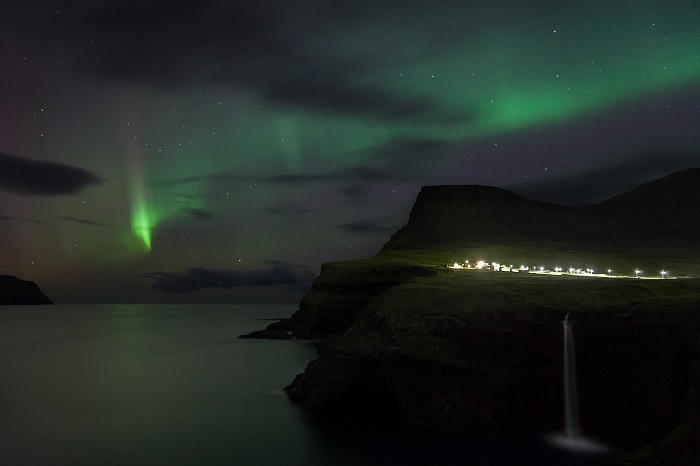 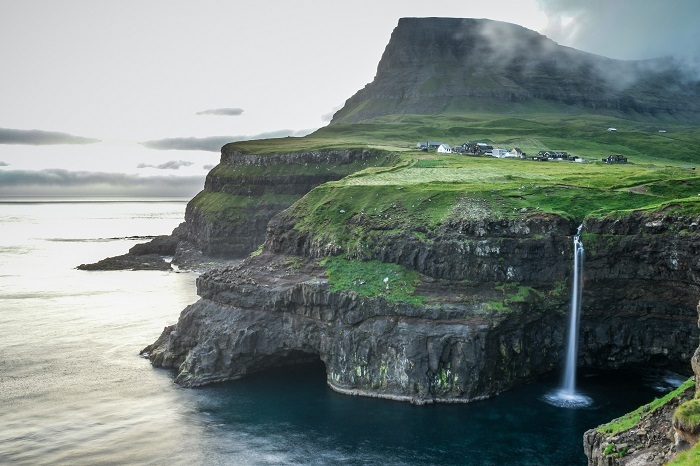 The Mulafossur Waterfall is definitely the most striking waterfall that can be found on this planet, and it is located on the west-side of the island of Vágar, which is one of the 18 major islands that form the archipelago of the autonomous country within the Kingdom of Denmark, the Faroe Islands. 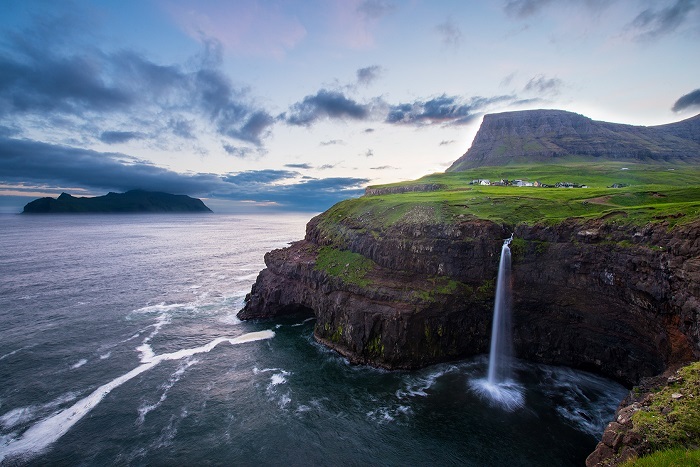 Located right next to the town of Gásadalur, for which sometimes it is known as the Gásadalur Waterfall, the Mulafossur Waterfall plunges from the edge of a cliff into the ocean below making it one of the most impressive sights a person could witness. 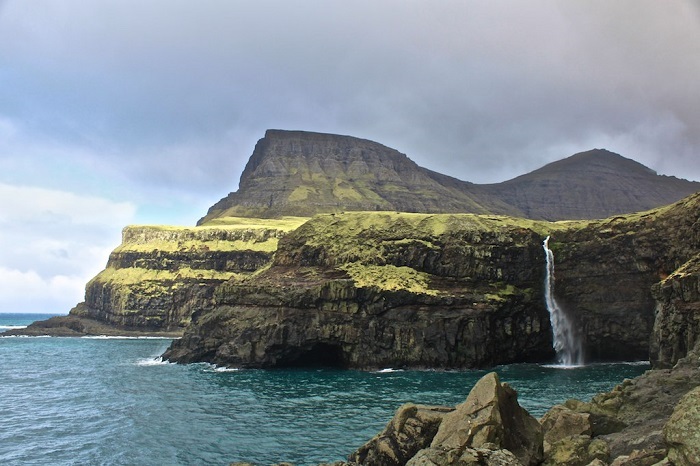 There is a legend that states about the presence of small dwarfs who can be found around the waterfall, in order to keep a sharp eye for the unexpected, whether travelers or some strong storms. 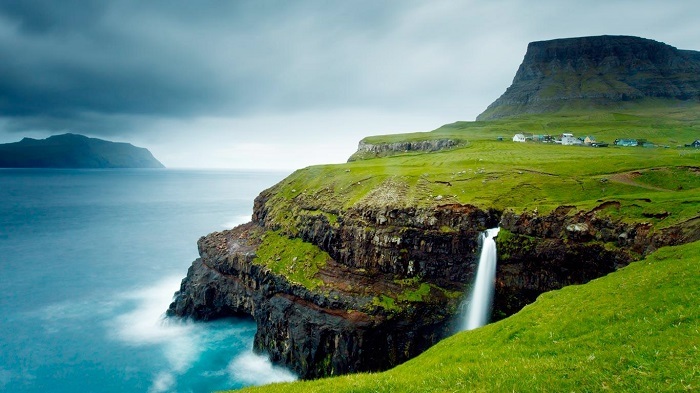 This waterfall looks like it has been painted in the real world from a fairytale, and as it falls down from the lush green fields that are surrounding it, it certainly makes every visitor to feel like being in a Nordic paradise. 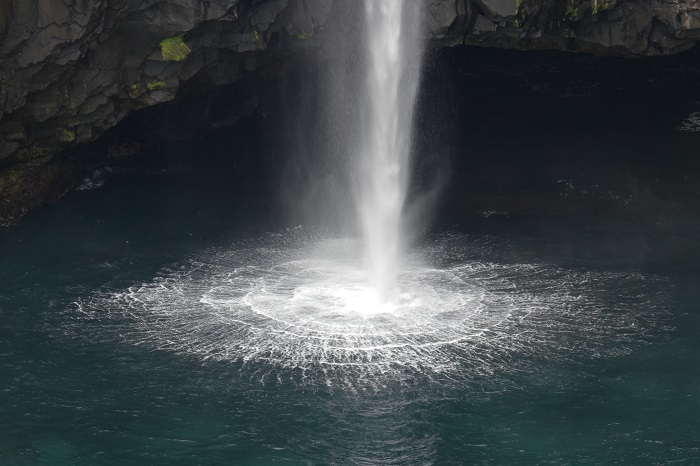 Nonetheless, greeting the visitors who would like to see the picturesque small town, most definitely the Mulafossur Waterfall will take their breaths away as it plunges down to the greenish blue cold waters of the Atlantic Ocean.